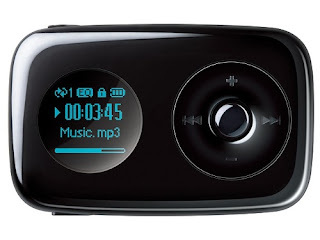 Jonathan Bray has reviewed this little mp3-player from Creative, the Zen Stone Plus. Apple probably won't lose any sleep over the Zen Stone Plus. It may have more capacity, features and slightly better sound quality than the Shuffle, but it's fiddly to use and the screen is more of an adornment than a truly useful addition. In the end, I can't help being disappointed in what has widely been touted as a Shuffle killer. Those who desperately want more capacity will probably choose the Plus over the Shuffle.